The Chinese bike-sharing unicorn has secured an investment from carmaker FAW as part of a wider push to expand into shared automobiles. It’s an effort to rattle rival Ofo’s alliance with $56 bln ride-hailing giant Didi. Catching up will be a slog, but may be worth the effort. China’s FAW Car Co said on Jan. 7 it would take a 10 percent stake in Chinese bicycle-sharing startup Mobike's new car-sharing unit Mobike Chuxing Technology. Financial terms were not disclosed. The stake is not large enough to have a major impact on the company’s 2018 financial performance, FAW said in a statement to the Shenzhen Stock Exchange. Through the deal, FAW will provide electric cars for a pilot project in Guizhou province, where users will be able to find and rent electric vehicles as well as bicycles using the Mobike app. 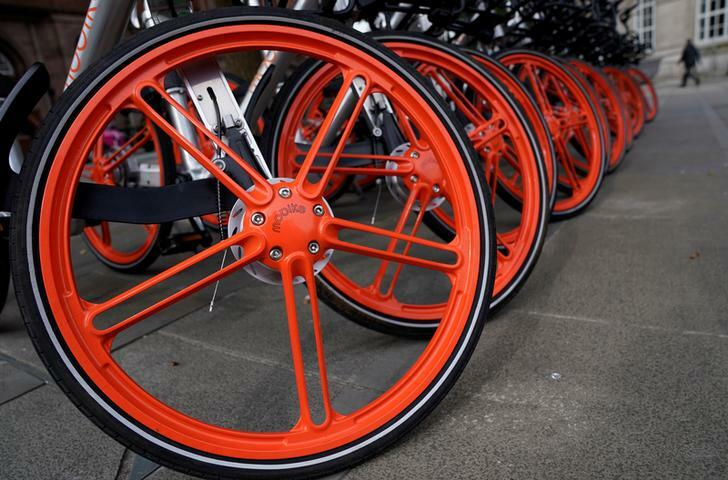 Mobike has already signed a strategic cooperation agreement with Didapinche, a car-pooling platform, and has made other moves to expand into the automotive space. Mobike’s major competitor is Ofo, which counts China’s dominant taxi hailing app Didi Chuxing as an investor.